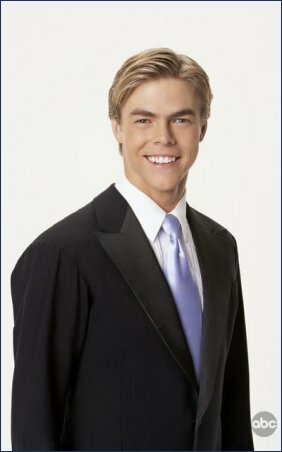 Derek Hough, says Sunday's episode of World of Dance will feature a "dramatic" change for the show. Jenna Dewan filed for divorce from actor Channing Tatum in Los Angeles onFriday. Jenna Dewan won't return as host for the third season of World of Dance. World of Dance judges Jennifer Lopez, Derek Hough and Ne-Yo crowned The Lab the show's Season 2 champions over runner-up dancer, Michael Dameski, during Wednesday night's finale on NBC. World of Dance judges advanced six acts from "The Duels" during Wednesday night's two-hour broadcast of the NBC reality competition series. 'World of Dance' recap: Seven more acts advance, Charity & Andres make history with first perfect score! World of Dance judges advanced seven acts from "The Duels," including one duo who received the competition's first-ever perfect score of 100 points, during Wednesday night's two-hour broadcast of the NBC reality competition series. 'World of Dance' recap: Seven acts survive "The Duels," Avery & Marcus knock out "giant" Eva Igo with "performance of a lifetime"
World of Dance kicked off "The Duels" with seven winning acts and Eva Igo's shocking elimination during Wednesday night's two-hour broadcast of the NBC reality competition series. World of Dance advanced a whopping 16 dance acts to the next round during Tuesday night's broadcast of the NBC reality competition series' second season. Julianne Hough, Paula Abdul, Mel B, Savion Glover, and Misty Copeland will serve as guest mentors or judges on World of Dance this summer, NBC has announced.